When the SURE HOUSE team approached us to become their communications partner the project definitely piqued the interest of our inner-nerds. The SURE HOUSE is the Stevens Institute of Technology’s entry in the 2015 U.S. Department of Energy Solar Decathlon. The competition, that will be held in Irvine, California this October, asks for teams to “design, build and operate a solar-powered house that is cost-effective, energy-efficient, and attractive.” Because communication is one of the 10 competition categories, out involvement has included a complete re-brand and a website design. 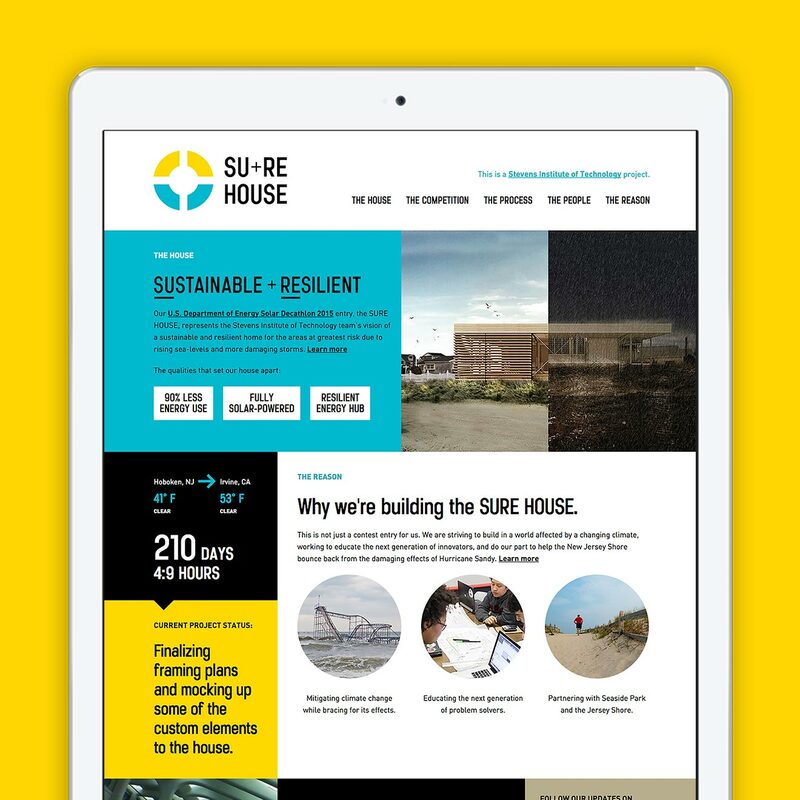 The site is now a much more vibrant and accurate representation of the key ingredients that make the SURE HOUSE so unique. Keep your eye on the website before the competition date, it will continue to expand and include information valuable to concerned homeowners, environmentalists and engineers looking to adopt innovative building techniques. Follow along on the process page and check out SURE HOUSE articles on the Pop-Sci blog!